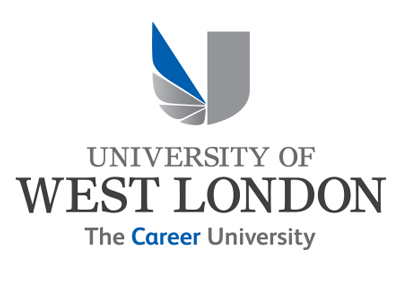 98% of University of West London (UWL) graduates are in employment or further study within six months of graduating, in excellent news for all who already study at the Career University or are thinking about applying to join in September. The outstanding rate of 98% for 2016/17 graduates – a record high for UWL – means this is the eighth consecutive year in which UWL’s employability score has risen. Welcoming the new HESA data, Professor Peter John, UWL Vice-Chancellor, said: ‘This latest employment indicator underlines the University’s consistently strong performance in realising our mission to provide students with a high quality, career-focused education which delivers life-changing career opportunities. It is our aim to be the top university in the UK for employability and these latest results illustrate that we continue to make progress towards that ambitious goal by providing career-focused teaching, attuned to the world of work, with impressive industry links and outstanding support to help students achieve their full potential. Widening opportunity is a top priority for the University, which has one of the UK’s most diverse student populations. Seventy-one percent of students are over 21-years-old when they join UWL, 98% of students are state school educated and 53% are from a BAME background. Recent investment totalling £150m in new equipment and resources has delivered UWL students an outstanding environment in which to learn. Additionally, this year sees the University launch facilities which strengthen ties with the business community, such as the Westmont Enterprise Hub, The Faringdon Centre for Non-Destructive Testing and the West London Food Innovation Laboratory.